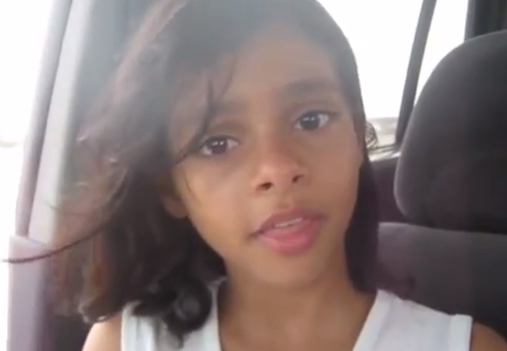 Last week the world was shocked after a video of a young Yemeni girl made the rounds on the internet. In the clip, 11-year-old Nada Al-Ahdals tells of how she ran away from her family in order to escape a forced marriage. The monologue is relatively short, but viewers are certain to be struck by Nada’s ability to articulate herself. This is a young girl who is intelligent, honest, and brave. ‘I decided that I have two choices; to live or to die. So I chose the first,’ she says. Nada’s parents attempted to marry her off to an older man for money. In response, she ran way to her uncle’s house and eventually the police. ‘I managed to solve my problem. But some innocent children can’t solve theirs, and they might die, commit suicide, or do whatever comes to mind. Nada explains how her maternal aunt was married to an older man who would beat her with metal chains. In the end, she doused herself in gasoline and set herself alight in order to escape the abuse. She was only fourteen. Jennifer Burn is the Director of Anti-slavery Australia, and is an associate professor at the University of Technology Sydney. She says that while forced marriages are unusual in Australia, they are certainly ‘on the radar’. …a marriage is a forced marriage if, because of the use of coercion, threat or deception, one party to the marriage (the victim) entered into the marriage without freely and fully consenting. It is important to understand that there is a difference between a forced marriage and an arranged marriage. The latter is a very common practice throughout the world. ‘But sometimes the line between arranged and forced can be quite blurred,’ says Professor Burn. Indeed, some parents even hire out professional matchmakers for their children. In a time when more and more marriages are ending in divorce, some experts are starting to ask whether non-arranged marriages can learn any lessons from arranged ones. But when it comes to the law, the matter is simple. An arranged marriage is one where a couple’s family has input, but consent is given on both sides. Therefore, arranged marriages are legal in Australia. A forced marriage comes about through coercion. This is illegal. Professor Burn says the true number of forced marriages in Australia cannot be known. This is because they ‘often go unreported and are often misunderstood’. ‘What we do know is that there is a lot of anecdotal information from community workers, but there is confusion in the community about the terminology. For example, a woman might be sponsored to live in Australia by marrying a local man. Once in the country she is put to work seven days a week in the family shop. She believes she cannot stop working due to threats of physical harm or her sponsorship being withdrawn. In this instance, the woman is in forced labour – it would only be a forced marriage if at the time of the marriage she didn’t give full and frank consent (this would include not having the capacity to do so). Professor Burn says there is ‘no clear pattern of support’ for victims yet. Instead, support is available through community and state-based departments. But if a victim of a forced marriage reports the matter to the Australian Federal Police, they are able to access help with finding accommodation, financial assistance and other kinds of family support. While the issue of forced marriages is complex, Professor Burn thinks one thing is clear. ‘What’s missing is community consultation,’ she says. Hopefully the YouTube clip of a brave 11-year-old girl will provide the necessary starting point for such a discussion. It’s also worth noting that although forced marriage isn’t a huge issue in Australia, it does still happen. I would love to be able to adopt her!!!!! I believe this video has been proven to be a hoax. This entry was posted in Featured, News, World and tagged forced marriage, in brief, marriage, News, slavery. Bookmark the permalink.